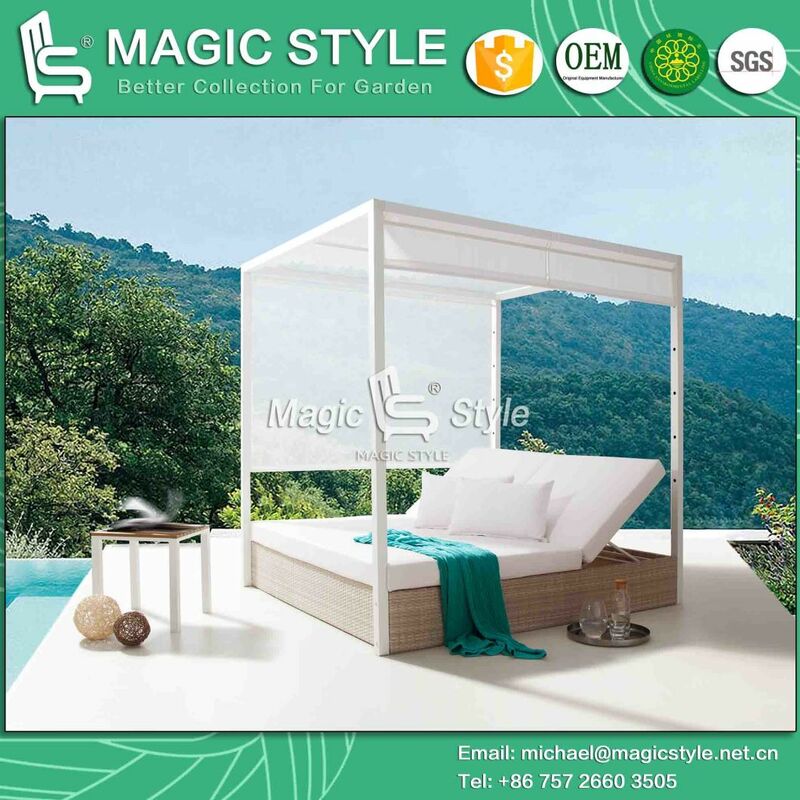 Â Â Â Â Angel Daybed is new design for season 2013~2014, this design looks luxury and gorgeous, and it's apply to outdoor, garden, patio, living room, ect. 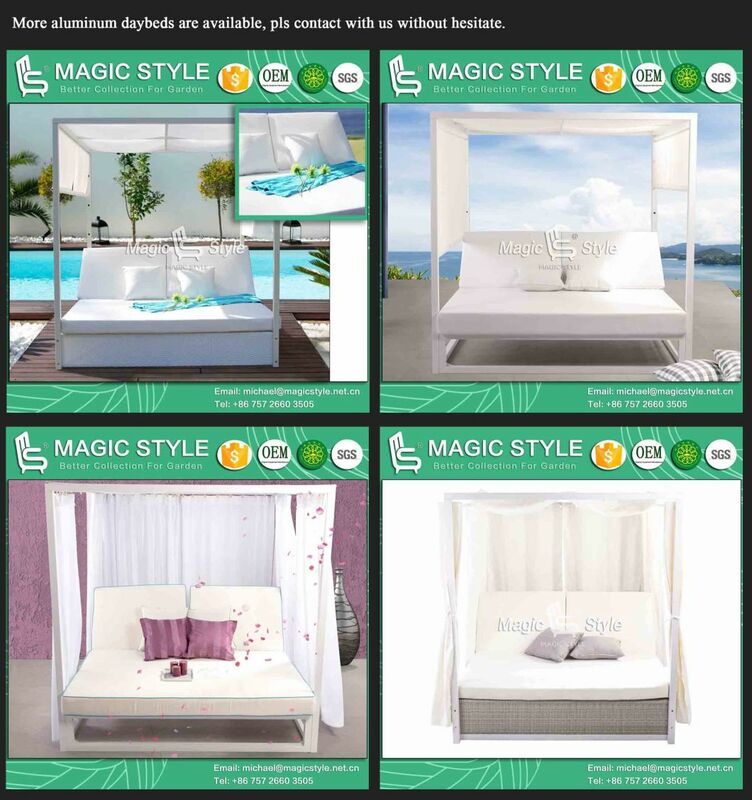 Pls contact with us for more high quality outdoor furnitures! -1 Â 1.2~1.5mm aluminum frame with high quality outdoor powder coating for rust protection. -2 Â All weather wicker & rattan hand weaving. -3 Â 250~320g UV resistant PU leather. -4 Â Â Match comfortable and fully welted seat cushion and pillows with PU cover. -5 Â Â Packing in export standard package. -6 Â Â Offer three years warranty. -7 Â Â Color and size can be customized. 1).Supply ability: 300 pcs per month. 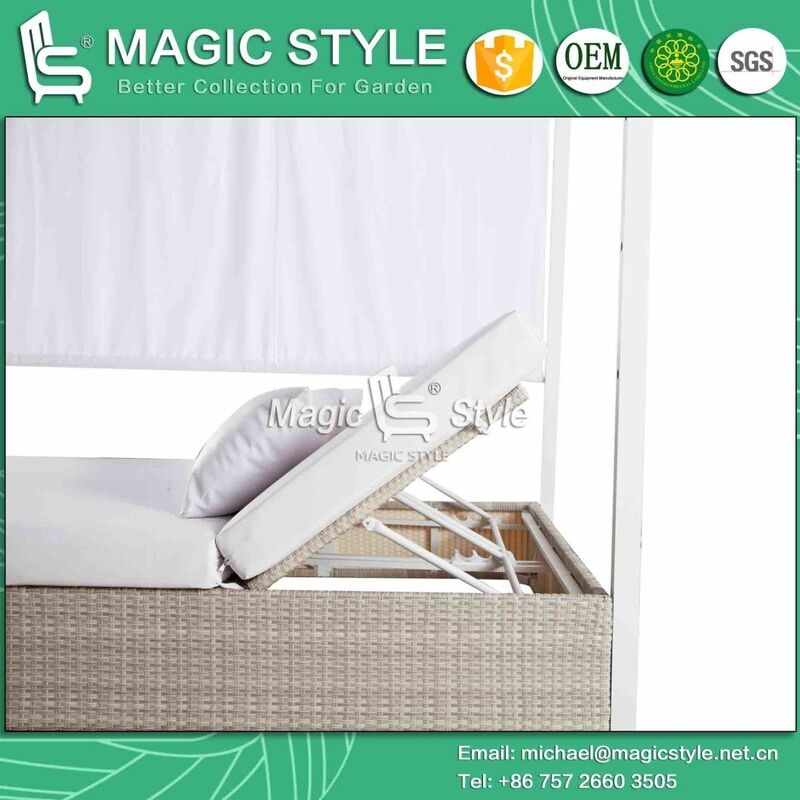 - Gorgeous and high quality furniture, Angel Daybed is perfert for beach. 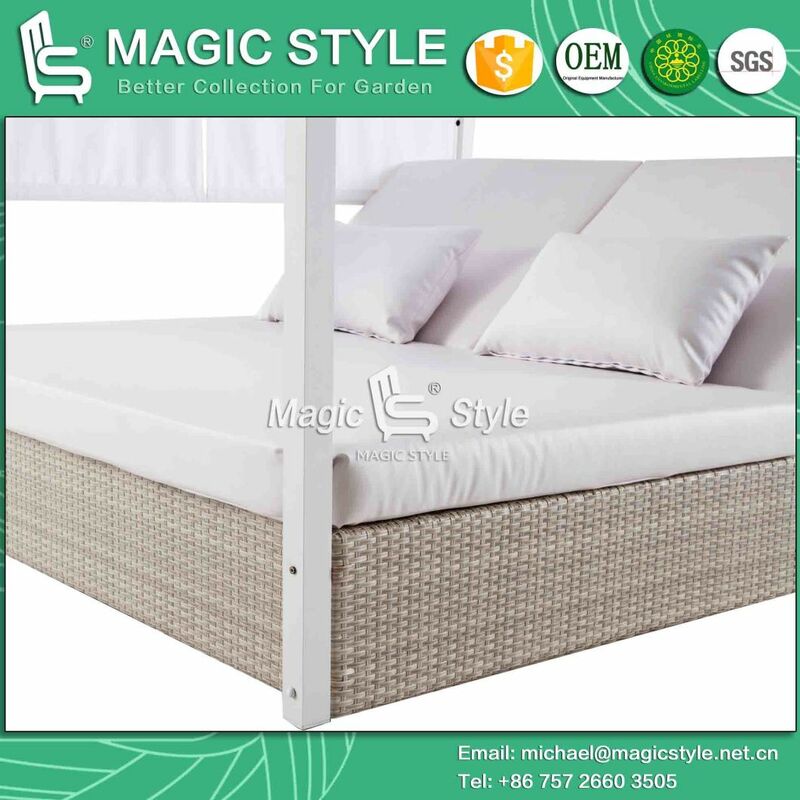 - MAGIC STYLE have 2400 square metre showroom at Foshan Shunde, welcome to visit us in any time. 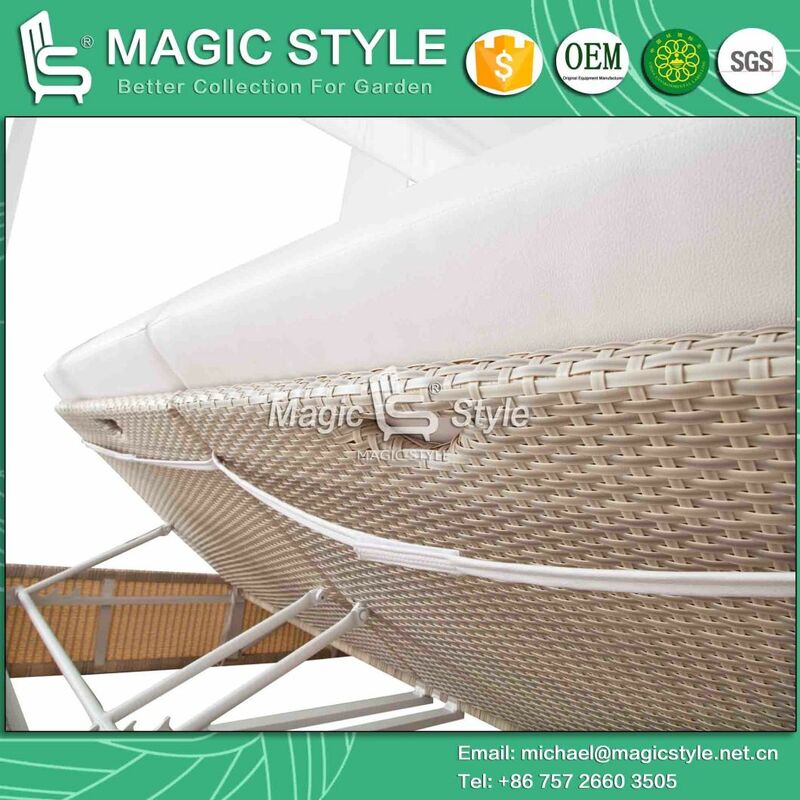 - MAGIC STYLE have more than 7000 square metre factory, welcome to visit us in any time.